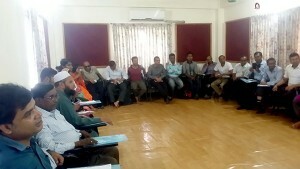 YPSA organized a local level advocacy meeting with the GOs, NGOs and Civil Society under YPSA-Link up project at YPSA-HRDC, Chittagong on 22nd November ’15 with the support of Link up Bangladesh. Dr. Alauddin Mazumder, Divisional Director (Health) of Chittagong was present as chief guest while the event was chaired by Md. Mahabubur Rahman, Director (SDP) of YPSA. Anjuman ara Begum (Councilor, Ward-16, 20.32 of CCC), Md. Morshed Alam (Councilor of CCC), Md. Gias uddin (Councilor of CCC) were present as special guest in the Local level Sensitization Meeting. Besides, representative from civil society, journalist, teachers, religious leaders (Imam), youth club and different NGOs participated in the program. Mr. Syed Assraf Ullah (Project Coordinator of YPSA-Link project) introduces YPSA to the audience and presented the keynote paper on YPSA-Link Up program. In the presentation he said that, Link up is the multinational (Bangladesh, Myanmar, Ethiopia, Uganda and Burundi) program which is funded by Dutch (Netherland) Foreign Ministry-BUZA. 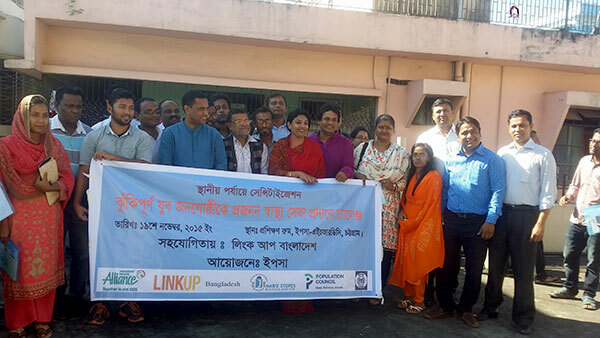 Link up has been implementing in Bangladesh by a consortium comprising Link up Bangladesh-linking organization of the International HIV/AIDS Alliance (IHAA)- the lead organization, Marie Stopes Bangladesh (MSB) and Population Council (PC). By linking up we would make a significant contribution to the integration of vital SRHR interventions and would generate important evidence to aid the broader SRHR/HIV integration movement. Link Up would bring SRHR interventions to existing community based HIV programmes and create linkages with public and private SRH providers. 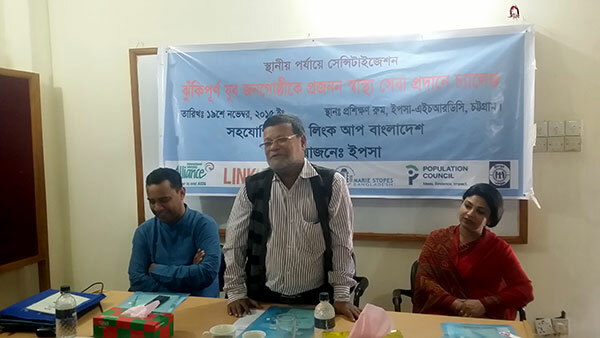 Chief guest Dr. Alauddin Mazumder said that Chittagong is the most vulnerable area for Sexual disease especially STI and HIV besides drug addiction among the young people also the major problem here because of commercial area. Special thanks to YPSA to start the link up program in Chittagong for vulnerable youth. We would provide necessary supports to YPSA for implementation of the link up program.